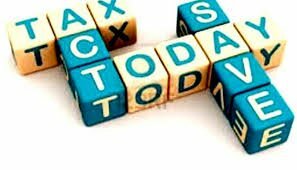 So if you follow our blog, you will know that this is the last article in our series on strategies to reduce taxes. In today’s article I’ll touch on the last seven strategies you can use to potentially eliminate paying any taxes while building a massive net worth. Please note that I am neither an accountant nor a CPA. What I am sharing with you are some nuggets that I’ve discovered from my research, experiences, and the conversations I’ve had with our CPA. Always consult with your tax professionals before making any tax planning or investing decisions. As I’m sure you know by now, owning a business is one of the tried and true ways of building long term sustainable wealth. Business owners are to whom the government is willing to give the big tax breaks. This strategy involves converting your earned income from your business into passive income. This changes the way you are taxed on that income. The mechanics of this approach can be pretty intricate. So you’ll want to make sure you get your tax strategist involved when making this happen. Your principal residence is exempt from capital gains so why not replace where you live every few years, especially if you are capable of finding those little nuggets in your market and renovating them to significantly increase the value. If you’ve lived in your house 2 of the last 5 years you’ll be able to easily eliminate all the gains you’ll build using this approach, and if you’re like me, you’ll have fun doing it too. Here is an exception to the passive loss rule that applies to investing in oil and gas development. Usually you would have to apply the losses to a stream of passive income. However if you own your interest outright and not in a corporate name, you can share in the first year tax loss of 70-80% of your investment. Once the wells start to produce taxable income then you can change your ownership to a limited partnership. Once you start to accumulate some assets and have a business you’ll no doubt start to have several tax returns to file and if you’re using some of these tactics you’ll want to make sure all the intricacies are done perfectly so that you get the tax benefits you are seeking. 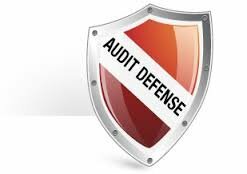 Some accounting firms offer an audit defense plan. This will limit the cost should you ever get audited. In addition, if you purchase it when you’re doing your returns; it will be a fraction of the cost that it could cost you to have your CPA assist you with an audit. I know that audits are not fun to think about, but having the right tax advisors and an audit defense plan will limit your cost in the case one should happen. We’ve covered several different strategies to reduce taxes or permanently defer them. Hopefully you should be able to apply at least a few of these immediately to help with your current situation. And with the help of the right advisor and some planning you should be able to come up with a plan that completely eliminates your taxes forever. If you would like more information, or would like to see how you can get involved in one of our opportunities, drop us a line! We want to hear from you. Our contact information along with more details and some great educational material can be found on our website.